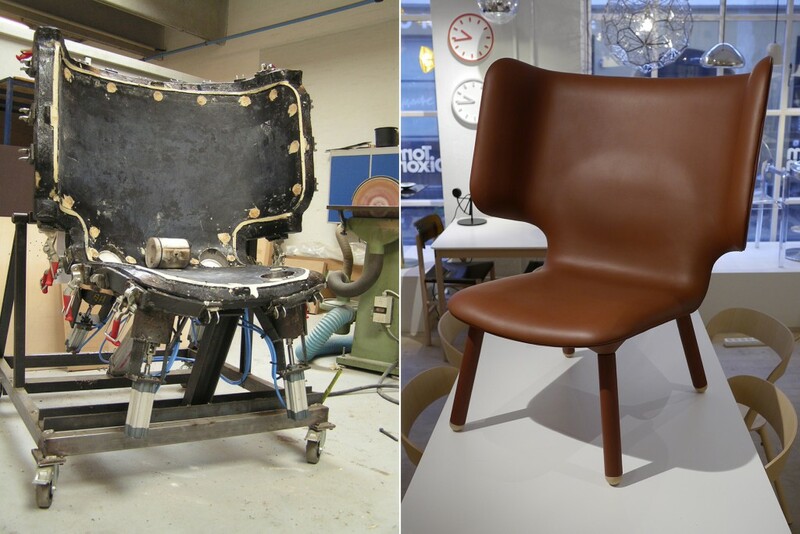 Tembo lounge chair foam mold and production sample made in Sørensen leather, january 2014. The Tembo lounge chair was the largest item in the Nevvvorks collection when it launched in 2012. 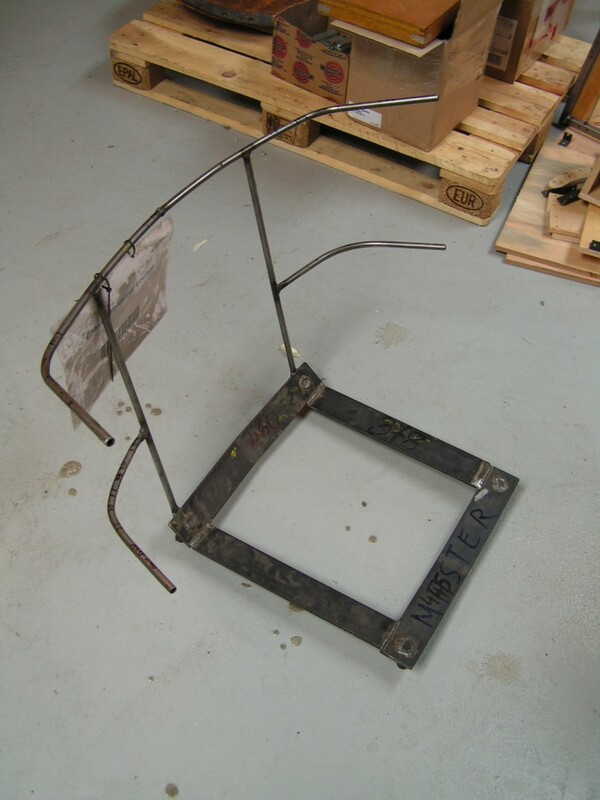 My initial task was to get the chair from early prototype to first batch production. On the first chair prototypes I discovered that the shell was being forced out of shape by the upholstery process and hence I had to inspect the shell production to find a solution together with the manufacturer. 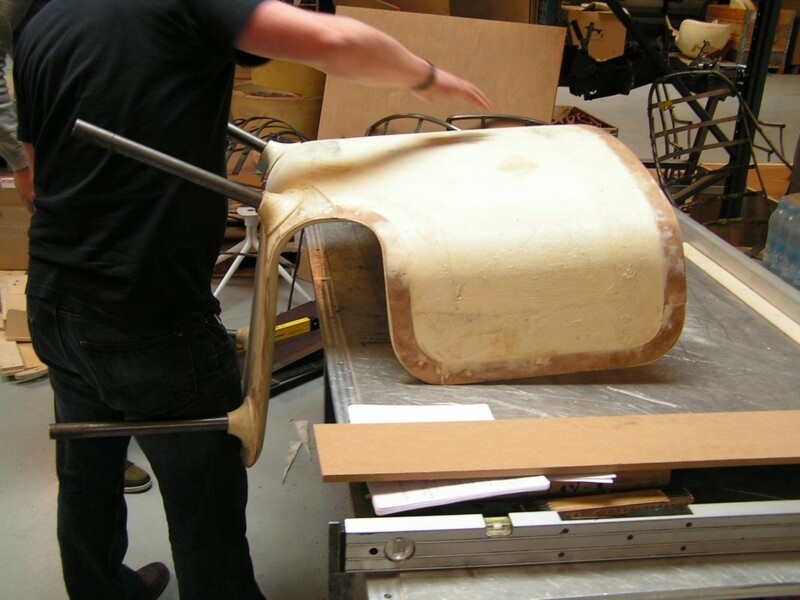 An inspection revealed that the mold was precise but the construction of the chair shell needed some reinforcement. The crookedness in the shape that we saw on the first prototypes was being caused by the upholstery pulling on the interior shell because it needed a lot of force to ensure a smooth and tight fitting. The shell of the first prototype chairs turned out to be crooked so we had to remeasure and adjust the mold. 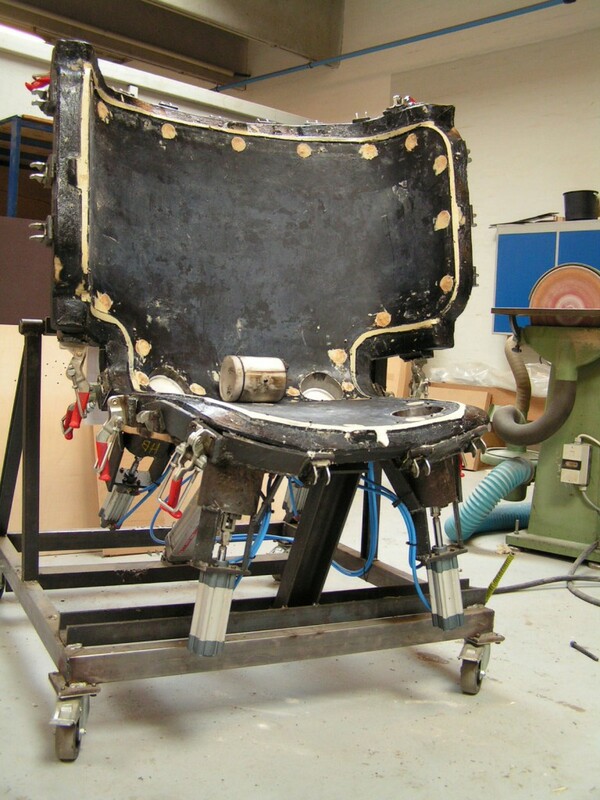 The solution was to introduce a stronger steel skeleton to the molded foam shell that would add rigidity to the chair’s wing-back sides and the thin profile of the seat. The Tembo chair was a simple looking chair that presented many difficult challenges as its form defied what is normally possible on upholstered furniture. This is also why I really enjoyed this challenge. Defying the impossible and finding solutions is something that gives me enormous satisfaction. The bare steel shell that had to be molded into the seat shell to reinforce the chair. One of the most important tools I have constantly used in my role as product developer is the concise and clear reports I always make to the suppliers I work with. 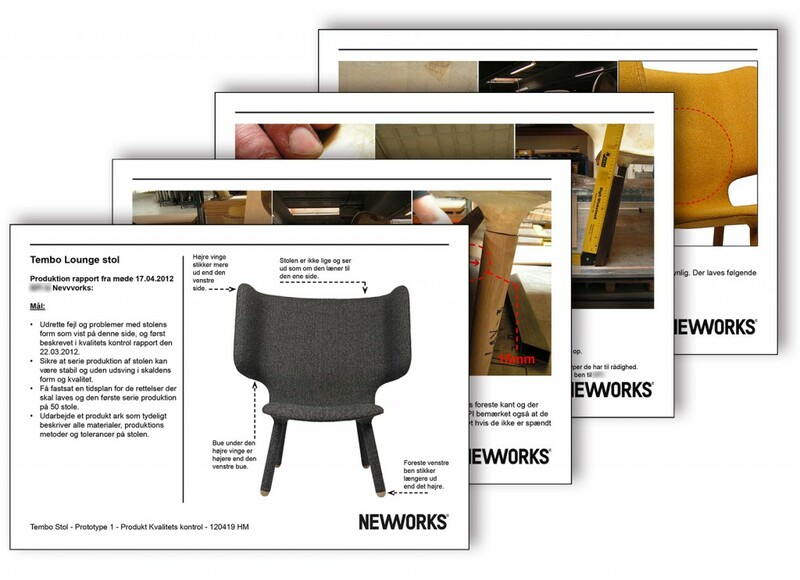 In the case of the Tembo chair, several were needed along the stages of product development that lead up to having a problem free production version of the chair. As we got the first batches of Tembo chairs produced I used feedback from colleagues in sales and customers to continually improve on the production and quality. The designers had chosen to work with the excellent Tweed fabric from Bute as standard, and to ease production we had chosen a set number of standard colours to have in stock on demand for customers. The demand for custom fabrics from architect clients meant we had to get a wide range of popular fabrics test fitted and approved at the upholsterer.